Complete the loop and continue back from Bariloche all the way through to Puerto Varas over the famous Andean Lakes Crossing. Get off the beaten track and consider a self-drive through the mystical Carretera Austral in northern Patagonia. Add in an extra night to maximise your time at Huilo Huilo. 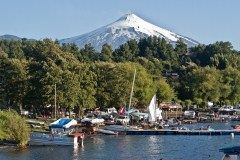 On arrival in Temuco airport you will be transferred to the alpine village of Pucon situated on the shores of the mighty Lake Villarrica, with spectacular views of the imposing Villarrica Volcano. Evening at leisure. Day at leisure to explore Pucon, the adventure capital of Chile. We can offer a wide range of outdoor activities including climbing the volcano, rafting the Rio Trancura or relaxing in some of the nearby thermal resorts. Today your transfer will start its route from your hotel in the vibrant city of Pucón, renown for offering a wide range of adventure activities thanks to its perfect location and weather. We will be able to see the beauty of its diverse surroundings. 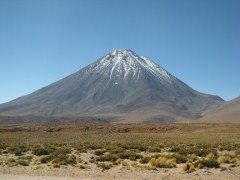 Then we will move on towards Villarrica following the out-skirts of the alluring lake of the same name. Afterwards, we will arrive at Lican Ray, stopping at the sector of Playa Grande to take some beautiful pictures. Our journey then continues to Calafquén. There, we will have time to relax and admire a unique and panoramic view. Our next highlight is the Panguipulli Lake and town. 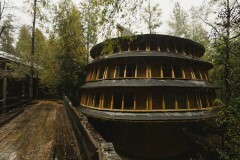 Finally, we will visit four lookout points before arriving to our hotel in Huilo Huilo. Today you will enjoy a day at leisure to explore the reserve. 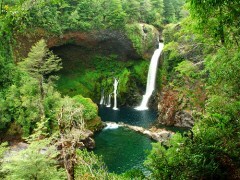 Huilo Huilo is a protected area spanning 100,000 hectares of native forest, and supporting a diversity of flora and fauna and you will have the opportunity to choose between various outdoor activities such as trekking, kayaking, fishing, canopy exploration, horse riding and mountain biking. In the evening you can take advantage of the spa facilities or relax in the bar whilst enjoying the impressive scenery of the reserve. Pick from the Huilo Huilo Biological Reserve and drive to Puerto Fuy for 6 kilometers , a small ferry will take us on a ride along the Pirihueico Lake and we will cross the border into Argentina. Having docked, we will head to our accommodation in San Martín de Los Andes. Today is at your leisure to explore San Martin’s quaint little streets filled with plenty of great restaurants or perhaps take one of the many adventure activities available including biking, hiking, boating and even skiing in winter. Today you will head to San Martin heading south through the amazing landscapes on the scenic ‘Route of the 7 lakes’. 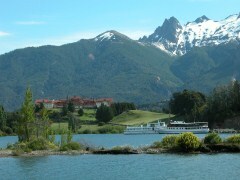 Your final destination is Bariloche, capital city of the Argentinean Lake District where the evening is at your leisure. Breakfast included. From Bariloche, you’ll begin your half day adventure with a drive along the Nahuel Huapi lakeshore on the San Pedro Peninsula. At Playa Bonita, you’ll enjoy views of Huemul Island before continuing your journey. You’ll hop aboard a chair lift at Campanario Hill and ride to the top for impressive views of the region—Nahuel Huapi and Moreno lakes, El Trébol lagoon, San Pedro, Victoria Island, Otto, López, Goye and the Catedral hills, and the town of San Carlos de Bariloche. You’ll resume your journey to Llao Llao Peninsula, with its hilltop hotel and San Eduardo Chapel—architectural jewels of the region. The lakeside Pañuelo Port is the starting point for many lake excursions. Cross the bridge over Angostura River, which joins Nahuel Huapi Lake with Moreno Lake, and enjoy views of López Bay at the base of López Hill. At Panoramic Point, take time to view Moreno Lake and Llao Llao Peninsula before crossing the bridge over Moreno Lake and beginning your return to Bariloche. This afternoon will be at your leisure. Bariloche is a chocolate-lover’s heaven, so we recommend heading to Calle Mitre where dozens of chocolate shops offer tasty little morsels of artisan chocolate. Day at leisure before we transfer you to the airport for your outgoing flight. If you have the time, we recommend you take a tour to the Cathedral Hill (not included). The Cathedral Hill takes its name from the similarity of its towers to a gothic cathedral. In winter (July and August in southern hemisphere) it is a famous ski resort. Styled with natural fabrics and featuring elegant architectural design and spa facilities, Aldea Naukana offers rooms with garden or Volcano views in Pucón. Climbing, skiing and trekking trips can be booked. Rooms at Aldea Naukana Posada Boutique are equipped with heating and safety deposit boxes. All of them feature cosy décor and private bathrooms with showers. Monte Verde is an ideal place to stay in San Martin, located minutes from Lake Lacar and the town centre. The hotel offers large double and triple rooms, as well as apartments for up to four people. 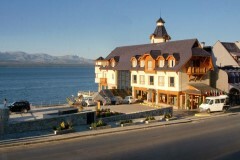 Located on the shore of the beautiful Nahuel Huapi Lake in San Carlos de Bariloche, this 4-star hotel boasts chic decor, excellent spa facilities and an inviting restaurant. Elegant rooms equipped with designer furniture, complimentary Wi-Fi access, a modern bathroom and a private spa bath all contribute to making your stay a comfortable one. Downtown San Carlos de Bariloche and the civic centre are just 3-blocks away making this one of the most centrally located hotels in Bariloche. Hotel rates are based on double / twin share lead-in rooms. Other room types and hotels are available. Rates are subject to change and different rates may apply during holiday seasons and special events.